Here’s a timely reminder for all you would-be revelers out there: Be careful with your countdowns this New Year’s Eve. There will be a little extra time to bask in the glow of a retreating 2016 — or curse its name, as the case may be. Whatever your inclination may be, one thing is certain: Before the year is out, the world’s foremost authority on time will be adding one more second to the clock. In a bulletin released this summer, the International Earth Rotation and Reference Systems Service, or IERS, said it would be necessary to introduce a “leap second” at the end of December. Timekeepers use this added second much as leap years are used — to bring the world’s atomic clocks in sync with the Earth’s own distinctive rhythm, which in this case is determined by its rotation. This leap second isn’t the first. Since 1971, the world has added leap seconds with some regularity — typically every two to three years — and the latest leap second was added only last year, in June. 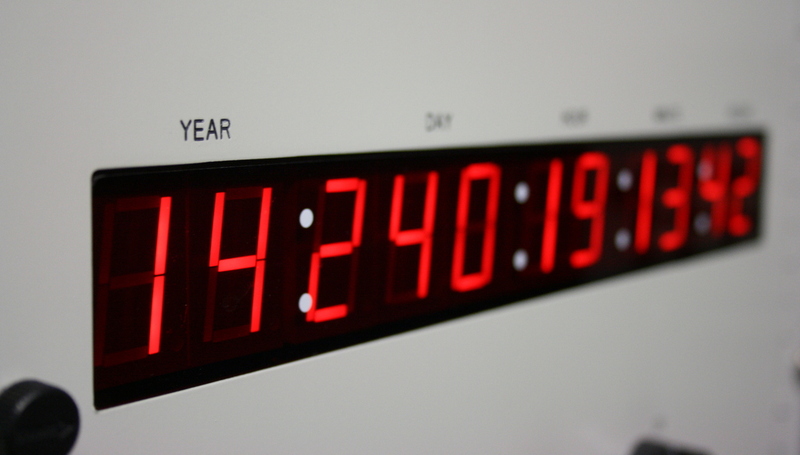 Last year, I recorded the 2015 Leap Second via WWV–click here to read that post. Though such a subtle change, it is fun to hear that extra second added. I plan to record the full 31 meter band New Year’s Eve–hopefully, I’ll also catch the 10,000 kHz WWV Leap Second! This entry was posted in News, Shortwave Radio, What's On Shortwave and tagged 2016 Leap Second, CHU, Leap Second, NPR, Time Stations, WWV on December 30, 2016 by Thomas.